This week, Becky and I are proud to bring you American Doll Tutorial Week! Between the both of us, we have 5 girls and all of them are crazy about dolls. Their favorites? The American Girl Dolls and the Our Generation dolls at Target. 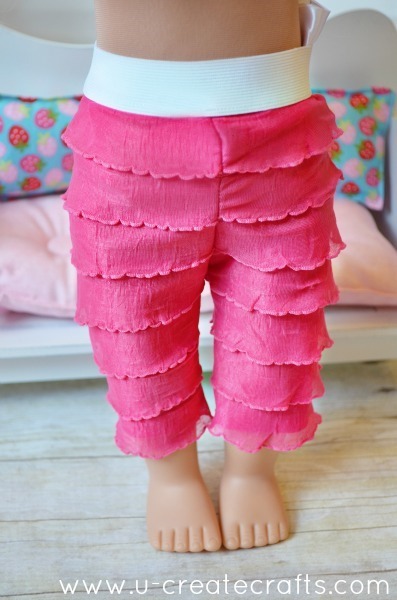 We’ll be focusing on 18” doll clothes, bedding, and you might even see an American Doll Giveaway this week! My daughter recently got an 18” doll (Our Generation doll from Target-kind of like the American Dolls) for her birthday and she keeps asking me to make her doll some PJ’s, a dress, a hat, etc. She has quite a list of demands for her new doll. I have always stayed clear of sewing doll clothes. Mainly because I thought sewing miniature things would be a royal pain. I have to admit, I was wrong! 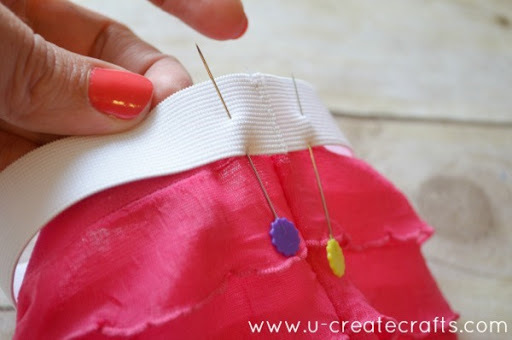 It’s actually really fun to sew these little clothes because I can get them done so fast…and my daughter LOVES them! and that includes taking pictures for this tutorial! 1. 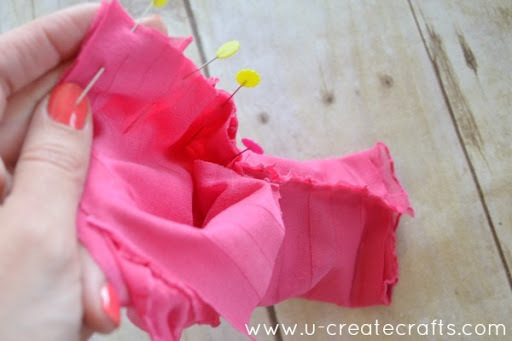 Fold ruffled fabric in half. Make sure all the ruffles are laying flat. 2. 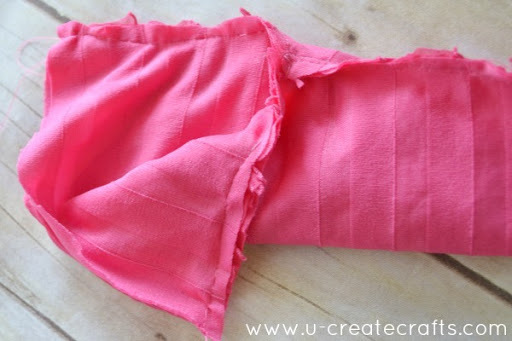 Fold the doll pants in half and lay them on the fold of the ruffled fabric. 3. Cut around the pants. 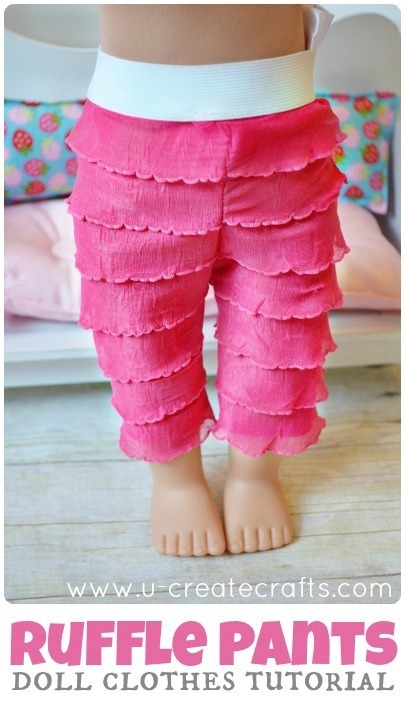 DO NOT cut right up against the doll pants…cut about 1/4” away as you go around the pant. This leaves room for a seam allowance when you begin to sew. 4. 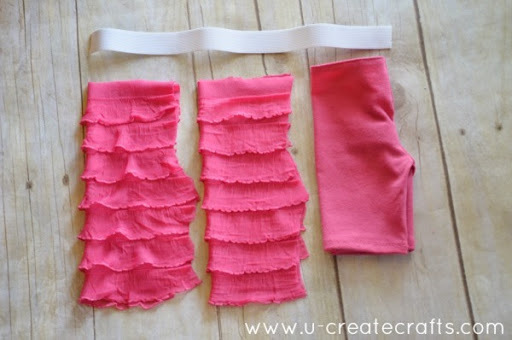 Unfold each leg piece and fold it right sides together. Again, make sure the ruffles are straight and flat. 5. 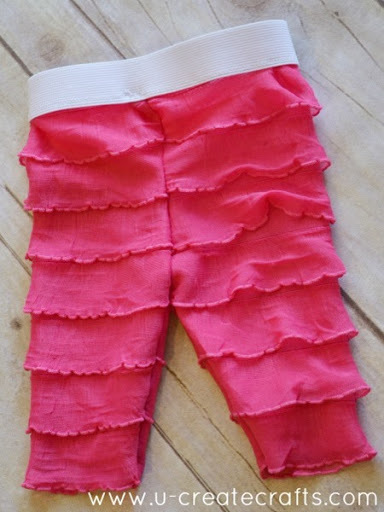 Matching up the ruffles, pin the inseam. 6. 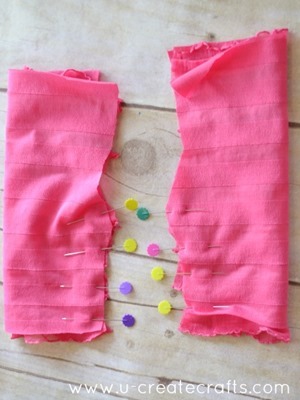 Sew the inseams using 1/4” seam. 7. 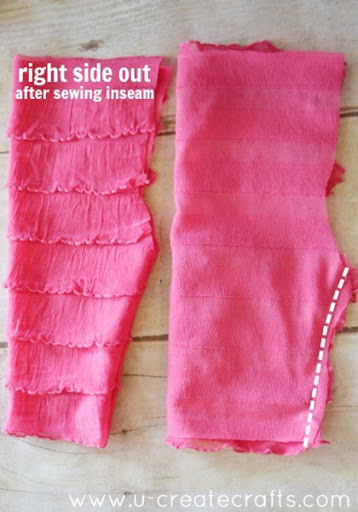 Turn one leg right side out when you are done sewing. 8. 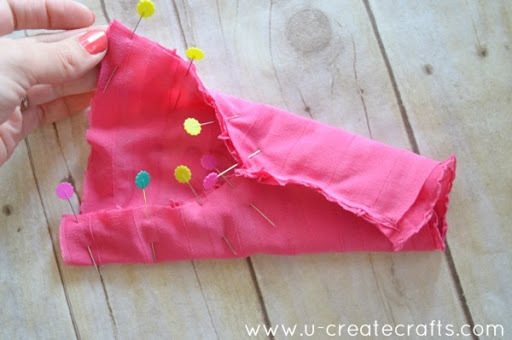 Insert the right-side-out piece into the wrong-side-out piece, lining up the inseam stitch you just made. 9. Lining up the ruffles inside pin both pieces together. 10. Sew with 1/4” seam. Turn right side out and you have a pair of paints with no waistband. 11. 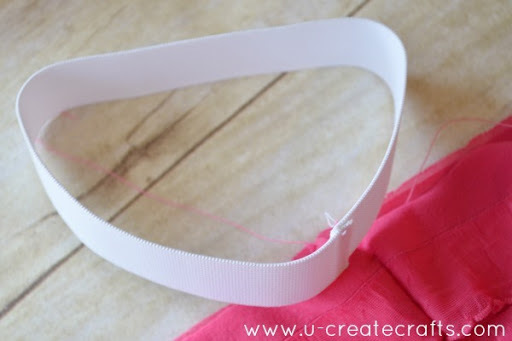 Sew the ends of the elastic together using 1/4” seam. 12. 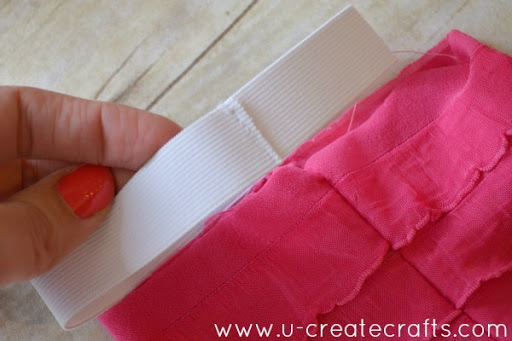 Line up the elastic seam with the seam of the pants. 13. Pin all the way around making sure to line the bottom of the elastic up with the top of the ruffles. 14. 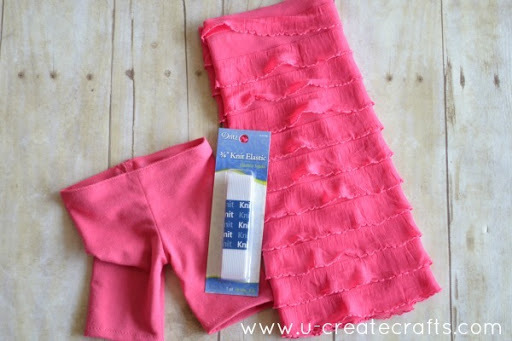 Sew the elastic into place and you’re finished! Stay tuned for more 18 Inch Doll Tutorials to come! Also, make sure to check out our American Doll Pinterest Board! Next Post: Teacher Appreciation Gifts Teachers Really Want! Cassie, it was so so easy! Thanks for your sweet comment. You need to buy something and you want to save money? Than register at http://www.galoo.com and buy anything you want for the price that you want. Also you can be a seller and post up to 12 products. You even have posibility to haggle, and save a lot of money. Really amazing. Try it! These are precious. I made my grand daughter a dress out of this fabric. This would be cute to make for her dolls when she gets a little older! She just turned three so it will be soon. Fabulous idea! 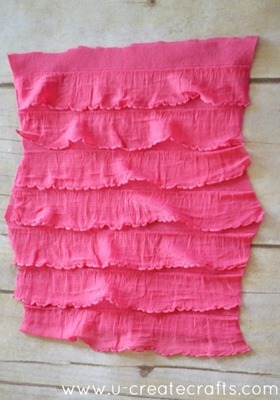 That ruffle fabric is my favorite ever! Was there a pattern for the pants I missed? Please email to sherschoice@yahoo.com.